With IHH and Felda, Kuala Lumpur boasts this year’s two biggest deals after Facebook. And more are coming, including the world’s biggest condom maker. But idiosyncrasies of the market, an export-reliant economy and fractious pre-election politicking should give investors pause. 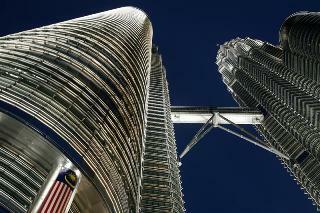 Malaysia’s flag is seen at the landmark Petronas Twin Towers in Kuala Lumpur. IHH Healthcare, Asia’s largest hospital operator, will list on Malaysia’s stock exchange on July 25. The company raised $2 billion in an initial public offering on July 12, the world’s third-largest this year. Palm oil producer Felda Global listed on the Malaysian stock exchange on June 28. The company raised $3.1 billion in an initial public offering on June 13, the world’s second-largest this year. Karex Industries, the world’s biggest condom maker, plans to conduct an IPO next year, the company’s executive director Goh Miat Kiat told Malaysia’s Business Times newspaper on July 17. Violence and protests have been on the rise in the run-up to Malaysia’s elections, which are due no later than March 2013.